PUTRAJAYA Shangri-La will be embarking on its first major Chinese New Year promotion with a yee sang menu and reunion dinner set this year. Diners can toss to prosperity and good fortune during the Year of the Horse with auspicious yee sang that is available at the hotel’s two restaurants – Palm Hill Cafe and Azur. The yee sang menu features three varieties – Abalone Yee Sang, Salmon Yee Sang and Snow Pear (Vegetarian) Yee Sang. They are available in portions for five and 10 persons. Prices for the yee sang range from RM58++ to RM188++ for a five-person portion, and from RM88++ to RM328++ for a 10-person portion. For those who want to enjoy a galloping start to the new year, Palm Hill Cafe will be offering a Chinese New Year Reunion Dinner set on Jan 30. 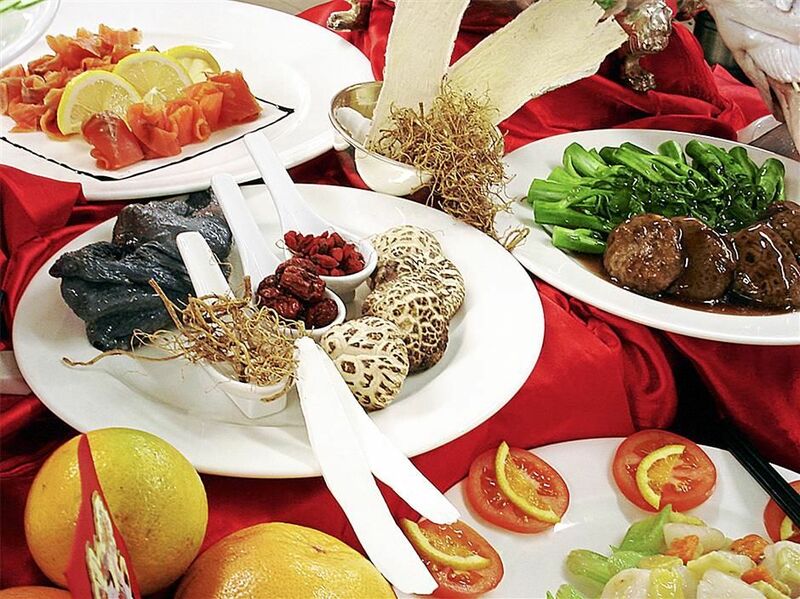 The eight-course menu starts off with the tossing of the Salmon Yee Sang, followed by a hearty Braised Pumpkin Soup with Scallops and Sea Moss. This is followed by symbolic dishes such as Crispy Golden Roasted Chicken with Plum Sauce, Steamed Sea Bass with Ginger and Soy Sauce and Deep-Fried Crispy Prawns with Golden Garlic. Next are the Braised Seasonal Vegetables with Abalone Sauce and Braised Mixed Seafood with Fried Rice. The meal ends with Pan-Fried Nian Gao (Glutinous Rice Cake) and Soya Bean with Gingko Nuts and Snow Fungus for desserts. The Chinese New Year Reunion Dinner set is priced at RM938++ for a table of 10 persons, and includes a complimentary bottle of red or white wine. Guests at Putrajaya Shangri-La’s reunion dinner also stand a chance of winning lucky draw prizes from the Shangri-La Group, including hotel stays, and dining and spa vouchers. Chef Shen Yi, a 36-year-old chef who hails from China, drew from more than 13 years of five-star hospitality experience in the Shangri-La Group of Hotels to create the Chinese New Year menu. “The choice of fresh raw fish or seafood is important when creating yee sang,” he said. Though his posting in Malaysia has been less than half a year, Shen said this was not his first time creating yee sang as he had done it during previous stints in Hong Kong, Singapore and Abu Dhabi to cater to diners there during the Chinese New Year festive season. On his concept for the reunion dinner menu, Shen said he wanted to offer traditional Chinese dishes that could be enjoyed by the Chinese and non-Chinese alike. Shen’s personal favourites from the menu are the soup, which he said features a West meets East influence, and the prawn dish, which he said is a traditional dish in China. Putrajaya Shangri-La’s yee sang menu is available until Feb 8.